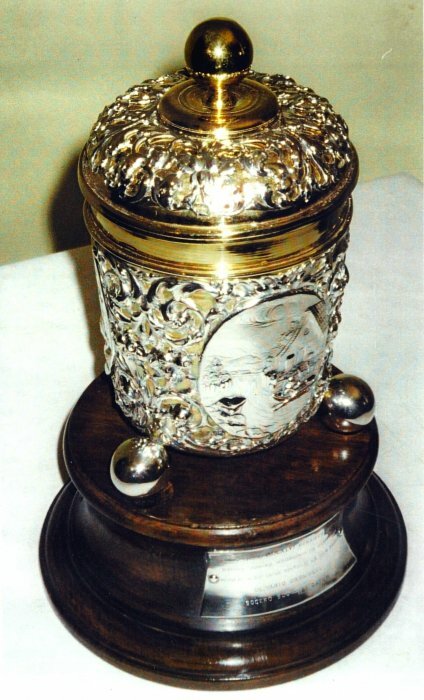 Presentation Cage Cup or Cromwell Cup given by Oliver Cromwell to General Henry Ireton who became his son in law when he married Bridget, Cromwell's daughter. The marriage ceremony took place in the Savoy Chapel of Holton Park Manor House on 15 June 1646. Ireton presented the cup to Lady Ursula Whorwood to thank her for hosting the wedding at her home.